On a lazy weekend play kids money games with your children and the next weekend watch them rapping chorus with Rapper 50 Cent! Whenever I go to shop for groceries at the local hyper mart I find my son Pratham always eager to accompany me. The prime motive is obviously not to lend a helping hand but to get hold of that new “Jelly Creamy Chocolate” or the latest “Ben 10 Gizmo” that he has seen on Disney channel. In the process, I have always noticed his excitement when it comes to pay the bill at the cash counter. Although he is too young for this, still, he always insists on transacting with the billing guy on his own, asking “How Much?” then paying him the cash and receiving the balance change from him. Actually, it is me who does the payment in the “background” since he, in reality, does not understand the real value of money and how it is transacted at this tender age. But this shows how our kids are so eager to learn about money and want to manage it like their parents do. The age group between 5 to 12 years is the ideal time to lay a strong foundation of money management in kids and what else one can ask for when the seeker himself is keen to learn the concepts. Researches have shown that kids learn the things faster and better if taught in a fun and interactive manner. To make them understand and learn the value of money and importance of money management, indulge them into small yet fun activities and encourage them to play kids money games. Let them take out all the coins from their piggy banks and stack them separately denomination wise i.e. one stack for pennies, another for dimes and other for quarters etc. Let them put a piece of paper over a coin and sketch out the coin mosaic picture using different colored crayons or pencils. Let them stack the coins year wise in ascending or descending order or stack the coins size wise. Can they find the coins, of any denomination, of the year same as their birth year? Try to position all the coins on the ground like a wheel without letting a single coin falling flat. All these small kids money games will make the kids identify and distinguish the coins in a fun way. Further, to make them learn the deeper aspects of money management like budgeting, spending, saving, investing, interest, loan etc. here is a collection of 10 best money board games for kids that I strongly recommend. These kids money games are especially handpicked and reviewed for all the caring and loving Moms’ n Dads’ like you and me. Buy and Play these games with your kids, very soon you will find your child confident enough to do the tricky grocery store transaction on his own and you will wonder how and when did he learn all this? No. of Players: Up to 6. Game Time: 45 minutes to 1 hour. A classic kids money game, first published in 1960. The player who ends the game with maximum assets Wins. All time favorite of all the kid’s board games based on Money. The course of the game teaches the kids to take some key important decisions on life, in a fun way off course. The game is a mixture of chance/ luck as well as kid’s own decision making. Contains sturdy bi-fold game board with plastic buildings and mountains, money pad, cards, stock and insurance certificates, 8 plastic cars, pink and blue people-pegs, number board, bankers trays and rules. Up to 6 players can play, that means a complete family game. Even a larger group of kids can enjoy the game. Like any other board game in the world this game also progress with a dice and/or a spin wheel but it gives total autonomy to the child to make his own choices. These choices ultimately decides whether he wins or lose the game. The game incorporates real life scenarios like Education, Marriage, Parenting, Shares, Insurance, Building Home, Buying cars, Investing in stock etc. Each and every aspect teaching a different facet of money management. Educate children about the virtues of good decision making as well as risk taking. Game’s overall quality is good. The main game board is durable and aesthetic. The game might seem to be reflecting great American consumerism approach. But for kids, it is an outstanding game, encouraging them to aim high in life. The game seems to leave an impression that material(Money) success is the real success in life, but not to forget that this is a money and assets management game and its objective is not to teach the real meaning of life. This is where parents role comes, we have to educate our kids what real success in life means. Some scenarios of the game may seem unrealistic today, like – having 5 kids or buying 3 houses etc. Game’s play instruments like Cars, Cards; Player’s pawns etc are durable but could have been a bit better. Considering the overall play and learning experience for kids it hardly matters. Out of the 3 version mentioned above it is highly recommended to buy the First one as it is the reboot of the original classic of 1960 game. Has more choices and discretion for the player and less chance events. More entertaining, enormous fun and great kids money game! The Second version is also a reboot of the original one but it a complete remake and disappointingly fails to meet the punch and realistic approach of the First version. The Third version is a good option to buy. It is spicier than the Second version as it offers far more choices and possibilities; it also has a number of new technical features that some kids will love, especially a electronic spinner which helps players keep track of their moves electronically. The high-tech interface adds loads of fun to the game. Each player now gets their very own Visa credit card, which they can use to spend. This not only adds a fresh modern twist in the game, but it also could possibly teach younger players about credit card responsibility at an early age. PayDay – Classic Edition, Publish by: Winning Moves. A classic kids money game, first published in 1975. The objective of this money learning game is to have the most money at the end of the game. The game board is in the form of a calendar month where the player has to deal with everyday events of life within a fixed budget i.e. his/her salary. The length of the game is predetermined by the players. A typical game is three to six months. Contains Game board, 4 mover tokens, 1 red die, 64 deal and mail cards, savings & loan pad, money & rules. A complete family game that parents can also enjoy. The course of the game teaches the kids about money management, monthly budgeting, loan, bank interest, savings etc. The incorporates real life scenarios like Education, Marriage, Parenting, Shares, Insurance, Building Home, Buying cars, Investing in stock etc. Each and every aspect teaching a different facet of money management. Some simple calculations like bank interest etc. are involved which some kids might find tricky. But in a way the game will teach them basic math skills like percentage and interest rate calculations. Game’s play instruments especially cards & paper money are required to be handled with care. Since they are made of thick paper they are bound to show signs of wear and tear over the time. Considering the overall play and learning experience for kids it hardly matters. An ideal kids money game if you want to make them learn the value of money and how to spend it wisely. No. of Players: 2 players. Moneywise Kids – Publish by: TaliCor. This kids money game is actually two games in one -- Bill Maker and Bill Breaker. Bill Maker teaches about different denominations of the currency and how to make change. Bill breaker teaches the kids about budgeting and spending the money assimilated during Bill Maker stage. This kids money game is a mixture of chance as well as kid’s own decision making. Contains 2 boards (one for Bill Maker and other for Bill Breaker), two sets of bills from $1 to $100, 16 Moneywise markers, and two dice. Simple, fast-paced games to improve valuable math skills that kids will use all their lives. The course of the game teaches the kids about money counting, various currency denominations, budgeting money while spending it on life’s necessities, such as housing, food, clothing, etc. The price of the game is low and affordable. Game’s overall quality is very good. The main game board is durable, the dummy currency is very realistically printed, paper quality is very good, makers are made of thick cardboard and can withstand some kid abuse. The currency of the game is the replica of U.S. 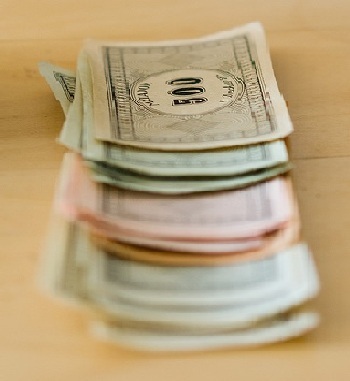 Dollars which is very good for U.S. kids as they can co-relate very easily. For kids of other countries, it might be somewhat unrealistic but it becomes redundant if parents make them understand the underlying value of the game. Only 2 players can play the game at one time. To make this kids money game more interesting and realistic, just provide real money instead of the dummy currency. Notice the joy and excitement on your child’s face when they correctly make exact change or spend real money. Game Learning: Counting coins, identifying coins and making change. Money Bags – Publish by: Learning Resources. The objective of the game is to collect, count and exchange money along the course of the game and finish first. The game is a mixture of chance as well as kid’s own choices. Contains game board with spinner, 100 plastic coins, paper currency bill, markers and a dice. Simple and fun kids money game that aids the kids to identify and differentiate between a dime, nickel, penny & quarter. The course of the game teaches the kids about coins counting, making exact change (like 47 cents) and budgeting. Game’s overall quality is very good. The main game board is durable, the plastic coins of various denominations are of top notch quality. The game teaches the fundamental math of addition and subtraction in form of money exchange. The coins of the game are the replica of U.S. currency coins which is very good for U.S. kids as they can co-relate very easily. For kids of other countries, it might be somewhat unrealistic but it becomes redundant if parents make them understand the underlying value of the game. The plastic coins that comes with the game can be easily misplaced by kids so keep them secure by keeping them in a small Ziploc bag. Presto Change-O – Publish by: Educational Insights. Objective of this kids money game is to make kids understand the importance of money management in life. The kid who is first to save $10.00 wins!. Contains game board dice, game pawns, markers, currency bills, coins and rule book. 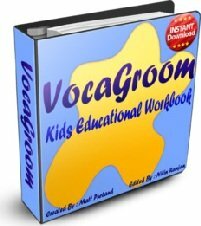 Kids will learn how to earn money, make change, save money, and spend it wisely. The course of the game sharpens the calculation skills of the kids like - addition, subtraction, and making change. The game make the kids to pass through real life situation where one gets the opportunity to earn money as well as situation where one spends money. Game’s overall quality is satisfactory. The main game board is colorful and attractive to kids. For smaller kids the game might take a long time, up to 2 hours, to finish as they are not very apt in handling money and making quick calculation. An ideal family money game for a lazy Sunday afternoon. Parents can play with the kids with no hurry to finish the game. Age Group: 6 to 10 years. Game Learning: Counting money, fundamental math, budgeting and making change. Game Time: 30 minutes to 45 minutes. Buy It Right – Publish by: Learning Resources. A very interactive kids money game whose objective is to make kids understand the importance of money management in life. 3 levels of play to choose from. This kids money game is a mixture of chance as well as kid’s own choices. Contains a colorful game board, dice, calculator, game-pieces, 40 paper currency bills and 100 plastic coins. Kids will learn how to make change and spend money wisely. The course of the game sharpens the calculation skills of the kids like – addition and subtraction. Depending on the age group of the players the level of the game can be selected out of easy, medium and hard. Game’s overall quality is very good. The main game board is colorful and durable. Also, the calculator and other game pieces are very nice. This is a very good money learning game to teach the little ones about money utility. The game instruments like plastic coins, currency bills and game pieces and markers should be kept securely after the game play. Game Learning: Managing monthly allowance or pocket money, counting money, fundamental math, budgeting and making change. The Allowance Game – Publish by: Lakeshore Learning Materials. A kids money game whose objective is to make kids understand the importance of money management in childhood. The game makes the player perform a specific task based on the space he/she lands. Contains a colorful game board, dice, game-pieces, paper currency bills and plastic coins. Through this kids money game they will learn how to spend their monthly allowance wisely. This kids money game make the kids to pass through real life situation where one gets the opportunity to earn a dollar as well as situation where one spends a dime. Game’s overall quality is good. The main game board is colorful and attractive. A very simple kids money game, especially meant for younger ones to learn the basics of money management. Grown up kids may find it too easy. This is more of a chance game than kid’s own decision making. This is a very good kids money game to teach the little ones about money utility. Once the kids are comfortable with the game, try replacing the play money with real coins and currency bills to make them feel more confident. Age Group: 5 to 9 years. Little Spender – Publish by: Remedia Publications. A kids money game whose objective is to make kids understand the value of money. 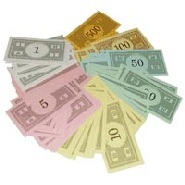 Contains a colorful game board with spinner, game-pieces, paper currency bills and plastic coins. Kids will learn how to spend money, make change, identify coins etc. The paper currency bills and plastic coins could have been of a better quality. Still worth the kid’s money learning value and price. Age Group: 7 years and above. Made For Trade – Publish by: TaliCor Inc. This kids money game gives the kids a chance to experience the barter economy and life in an early American colonial village. A classic game, first published in 1984. The game has 4 difficulty levels of play, so that after mastering the beginning level, kids can move up to the higher and challenging levels. Contains a colorful game board, 60 shillings, 2 dice, 48 object cards, 8 character playing pieces, 8 shopping lists, 30 Historical Event I cards, 30 Historical Event II cards & an instruction booklet. Kids will get to learn what life was like for ordinary citizens in colonial America. The course of the game will make the kids learn some interesting lessons about early American history & economics. Kids will get to understand barter system and money management. The game has flexibility to tailor it for different age groups. That means even the elders can enjoy the game. This kids money game takes a long time to finish because of the number of chance and events involved in the course of the game. The game board could have been a bit bigger in size so that the events are clearer. The play markers could have been smaller and more aesthetically designed. Still worth the kid’s money learning value and price. The game is primarily for American kids. Kids from other countries can play this game to gain rich general knowledge about colonial America and its history. Game Learning: Money management, fundamental math & budgeting. Let’s Go Shopping – Publish by: Trend Enterprises Inc. Objective of this kids money game is to be the first player to purchase everything on the shopping list from the mall. The game has 2 difficulty levels of play. Contains a colorful game board, event cards, player pawns, 2 dice, cardboard tokens & an instruction booklet. Kids learn smart consumerism at the shopping mall as they practice addition, subtraction, multiplication, and division. Game’s overall manufacturing quality is satisfactory. Except some negligible things there is no striking downside of this kids money game. Want to educate your kids about Science? Kindly check out my collection of educational & fun Kids Science Games .